Maybe you are a better shooter offhand. The bow pin floats way less for me. But I shoot bows a lot. Daily total,6 bucks I think 13 doe, 1 coyote,1 Fox . Havent has anything to eat since breakfast, hitting the hot tub with a gin and tonic while the Mrs finishes making dinner . Oh it's true, large, flat tipped slow moving bullets make the best brush calibers. Not live from the stand, but 7 ours on stand today. Saw 1 doe as I was at the parking spot getting my climber out around 9 am. Then a doe and 2 fawns at 12:30. Wind was fickle, but what a beautiful day to be in the woods. Hunting the AM again! 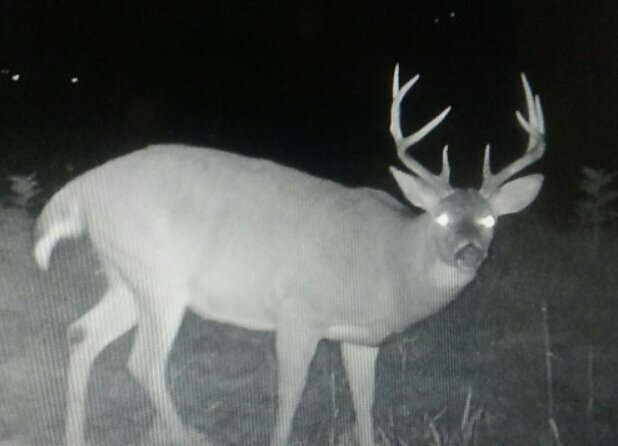 Excited, I needed to see some deer movement, was getting a bit worried, I overhunted it last year, or something. Deer are definitely moving here now, saw that spike pushing that doe allll over, back and forth. 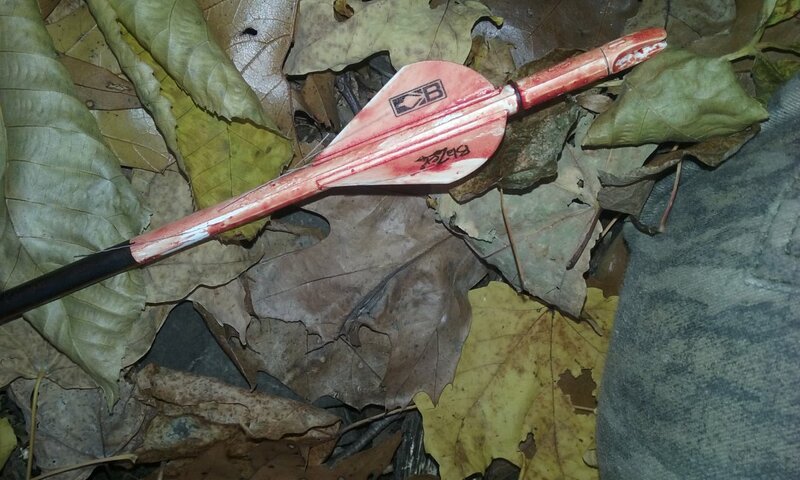 On the 37 mile ride home, saw a big tall spike, or 3 pointer in a very BAD spot for him to be on the road, and in another spot saw a deer jet all spastic in the road. May not sound like much, but we have big tracts of woods here, where you either see no deer, or a lot. I have a good feeling about the morning. 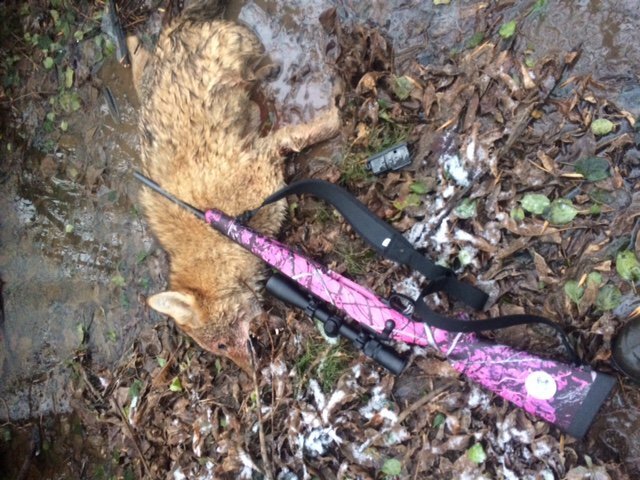 Who was it last year that was a killer with the daughters pink rifle? Dropped a yote and a deer with it . Fear the pink gun! Now fear the pink grunt! He also takes mid hunt breaks to tidy up his shed with new paint. Weird dude for sure. Add some see through mounts and there ya' go.....dream gun. Hey Turkey hunters! Check out my latest video on YouTube! This is a Pennsylvania turkey hunt from last spring! The opening morning of the PA season. This long beard strutted right in to the decoy and was only 10 yards away when I shot him! Please subscribe to my YouTube channel Cross Over the River Outdoors to stay updated with my hunting adventures and new videos! Post and share as well! Enjoy the hunt guys and gals! Hey everyone! I'm Louis Backlas, and I'm from Wyoming county N.Y. 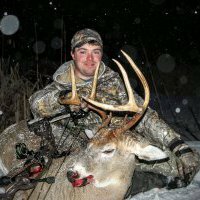 This past fall I entered the largest deer hunting tournament the hunting industry has ever seen. The Bone Collector North American Whitetail Championships. In this tournament, there was 14 different regions in the United States. Region 1 being New York, New Jersey and Pennsylvania. Winners of each region qualify for a hunt in Kansas at Wicked Outfitters and will have a chance to win $50,000. I was blessed to be the winner for region 1! Pretty Excited here about this! I wanted to invite all of you N.Y hunters to watch my latest video that was uploaded to my YouTube Channel, Cross Over the River Outdoors. In this video, I will take you on the hunt that qualified me for the championships in Kansas coming this September! After watching the video, Please give my YouTube channel a follow and you can also follow me on Instagram and Facebook @ Cross Over the River Outdoors! Send some prayers my way ya'll! Thanks and God Bless! Hey Everyone! I just uploaded a new video to my YouTube channel! 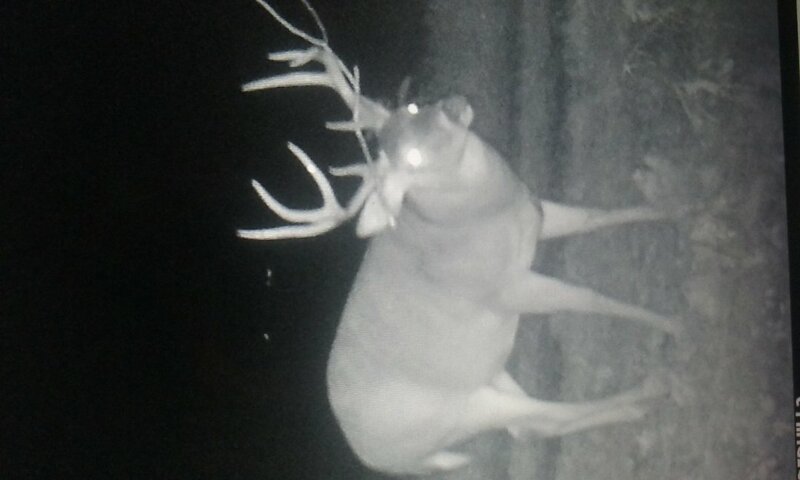 If ya'll enjoy watching whitetails in the rut then you need to watch this! One of the coolest encounters that I've ever been able to video! All filmed off the back of my horse. Note: this is not on a deer farm. These are all wild free ranging whitetails! I'd love it if ya'll would give me some follows on my hunting pages! You can follow me on Facebook, Instagram and YouTube at Cross Over the River Outdoors! I hope Ya'll enjoy the video! God Bless! Who's Ready for the 2019 Turkey Season!? Hey Everyone! Who's all ready to bust some thunder chickens upside the head!? Here's a short video to help get you fired up for those spring mornings! Hey Everyone! This is Louis Backlas/ Cross Over the River Outdoors. I just posted a new video to my YouTube channel that I though ya'll might get a kick out of! 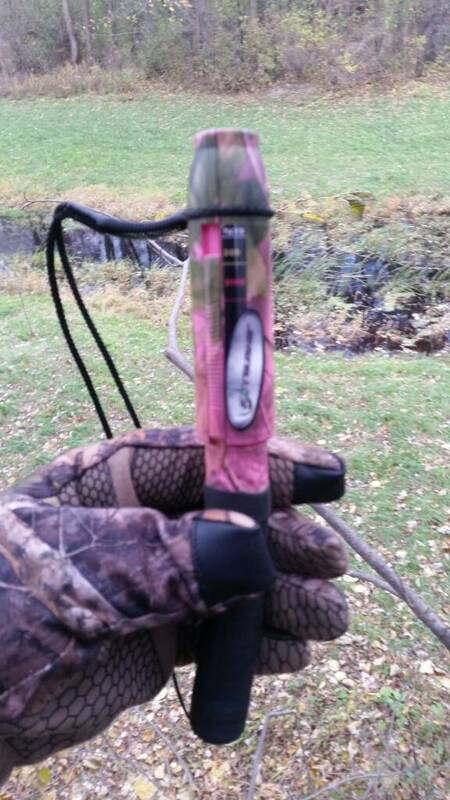 Have you ever used a decoy to hunt whitetails? If you haven't before you might want to start! I woke up one morning and look out my front window only to find that my 3D deer target was in pieces all over the front lawn! 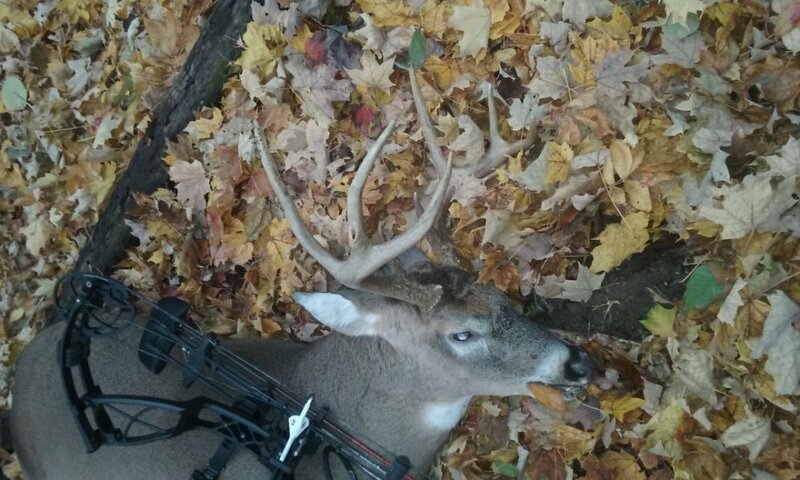 A fired up buck decided to take his frustrations out on the target! 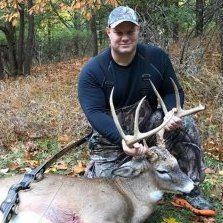 this took place sometime in November during the peek of the rut. Hope ya'll get a kick out of it! Follow along on my adventures on my pages! You can find Cross Over the River Outdoors on YouTube, Instagram and Facebook! God Bless!